My wife and I are attending a parent meeting this evening at our church discussing youth ministries and the relationship between Sunday School programming and Wednesday night youth activities. I’ve been very involved in Children’s Ministries since we moved to Oklahoma five years ago but have not been involved much with youth ministries, which includes sixth through twelfth grade. For the past two years our church has used the Student Life Ministry curriculum. This is a vertically aligned six year curriculum. 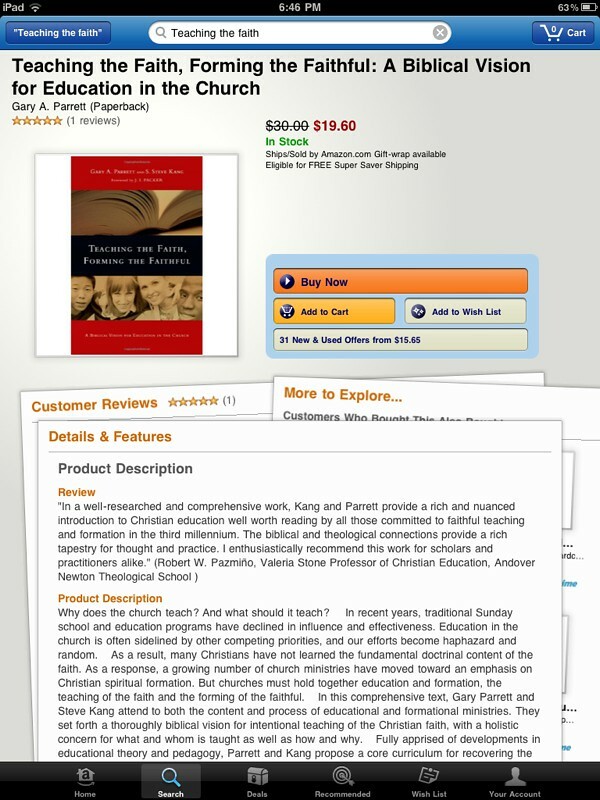 I have not used it yet, but parents at our meeting described it as a good resource with detailed lesson plans, multimedia supplements, and real-life application connections for students to scripture and the parables of Jesus. The focus of this meeting is continuing a two year (and ongoing) process of taking a critical look at how we are building relationships (or not) with students and adults and between students in our church. We recognize we need to do a better job providing engaging, scripturally focused and relevant learning experiences for our youth. One of the suggestions made tonight was supporting “looping” teachers to continue with students year to year. When teachers are effective and connect with kids, that can be good, but the opposite can happen and be true as well. We currently don’t have any mechanisms in place to formally solicit feedback on teachers and our programs in either Sunday School or for Wednesday night programming. Perhaps this is something we could use, along with other elements of a teacher training program, to focus on improving our teaching, learning, and mentorship opportunities for youth. We have seven current teachers in our youth ministry area who are going to stop teaching next year and will open spots which need to be filled. This is a challenge we must meet as parents and a church family! This is a paragraph Brian Wagner, our youth director, shared to start our meeting together which will give you an idea about our focus on partnering with parents and taking a missional approach toward youth ministry. Here is the reality of the culture we live in, which has affected much thinking in the Church today. If I want my child to learn soccer, I send them to soccer camp. If I want them to learn a musical instrument, I find a professional, and pay money for that person to teach them the instrument. If I want them educated I send them to school where the professional teacher can teach them. This mindset has trickled over to our thinking in many churches today when it comes to teaching the Faith. We send our children to the “professionals” to be trained in God’s word and in the Faith. And it seems natural for this thinking to be so since everything else works this way. These are two books Brian recommended to us as parents to learn more about the partnering and equipping approach we are taking at our church toward youth ministries. What resources are you using, have you seen used, or do you recommend for improving youth ministry programming as well as philosophy for youth ministry? 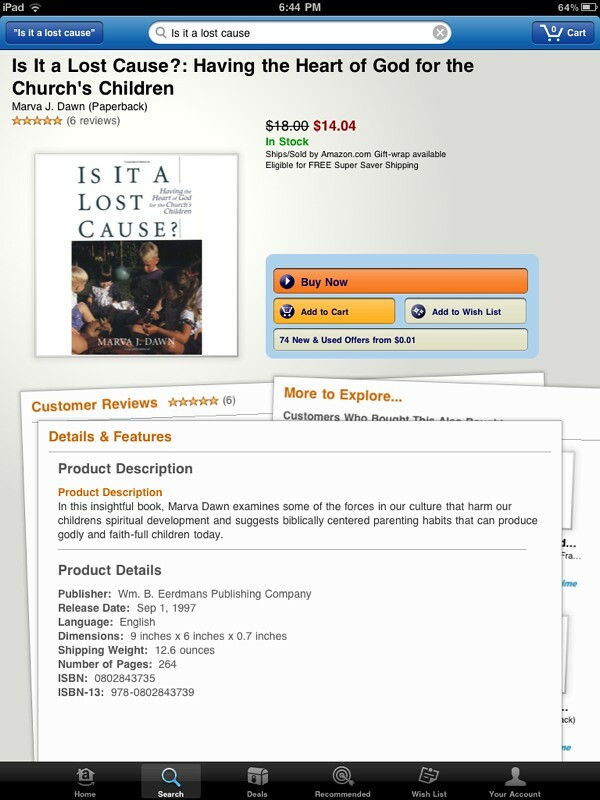 How about resources for family ministry?